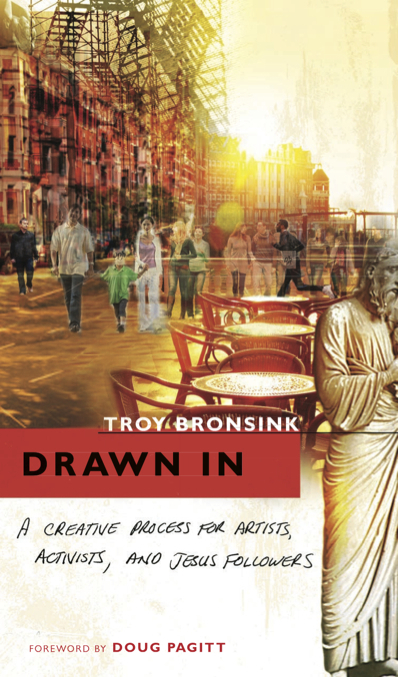 After 10 years of consulting, teaching, and writing about the intersection of church and art Drawn In is Troy's first full length book on the spirituality of creativity. Drawn In shows how the rhythms of God’s creative work can be discovered through design thinking and creative processes. Exercises invite participation in God’s life and redemptive rhythms. This holistic approach will shift how Christian creatives think of mission, worship, collaboration, and everyday discipleship.